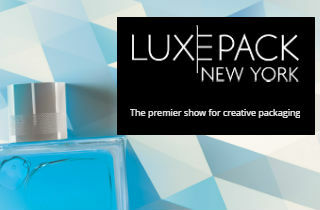 CPL, long recognized for its innovative packaging concepts for the cosmetic sector, has just released a fantastic new concept specifically designed for nail polish remover. The new container and closure combo features a small dish just above the closure aperture where the solution is dispensed upward, creating a convenient little reservoir the ability to dip cotton swabs or balls during usage. One of the problems facing consumers when removing nail polish is that of having to take time out constantly to grab the fluid bottle and turn it over to saturate a cotton ball or take a long swab and carefully dip it into the bottle. 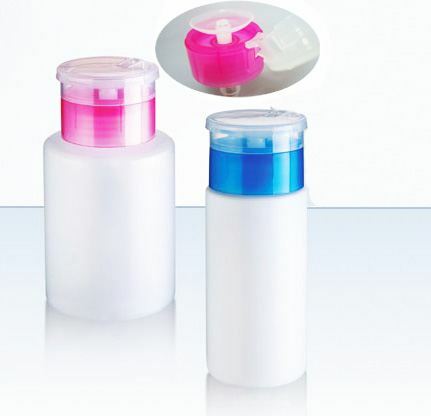 CPL's solution is a bottle with a dip tube where the consumer simply squeezes the bottle to dispense the solution upward, until it bubbles out into a small dish with enough solution for the entire treatment process. Then, all the consumer needs to do is dip a ball or swab into the solution and remove polish as s/he normally would, without having to stop periodically to replenish solution. The new concept also frees up an extra hand throughout the process so it can use any of the numerous devices we use daily: telephones, remotes, mp3 players, etc. The set is made of highly compatible and PP, and ensures strong, leak-proof security.